AR Rahman was recently in Kolkata to announce the concert that he would be staging there on November 14th. He also took time to be a part of the charity dinner hosted by the Liver foundation. Cricketer Sourav Ganguly was also present at the charity dinner. 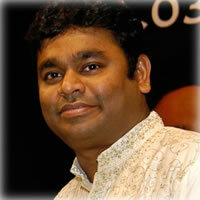 Prior to the Kolkata concert, Rahman will perform at the GMR Arena in Hyderabad. This event will be organized by Rapport Global Events and Wizcraft. It is worth mentioning here that Rahman has planned a string of concerts called the Jai Ho concert for various charitable causes and his recently held concert in Chennai was a stupendous success.